In the past, it was thought students could not work within a discipline until they had learned all the facts, definitions, and procedures about the field. Only once they reached the university level might they have opportunities to engage in historical inquiry, mathematical thinking, or genuine scientific exploration. Today, learning the way around a discipline is no longer for the few who move on in their studies; it is also open to the young. 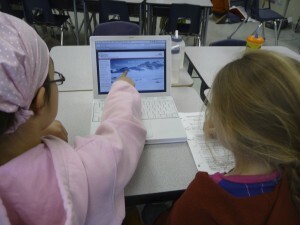 In an inquiry-based classroom, teachers must design teaching and learning experiences where students have the chance to learn their way around a discipline, engaging in authentic, intellectual tasks that create new knowledge, while mastering key concepts and ideas central to the discipline or field of study. Each discipline, whether it’s science, mathematics or history, offers its own ways of communicating and generating knowledge and verifying what counts as quality work. The job of educators, then, is to apprentice young people into these actions. Students should also read with understanding, interpret findings, critique sources and argue points of view persuasively. As they work in a variety of subject disciplines, they should learn more about how each subject gives a particular window on the world with increasing depth and understanding. Perhaps most central of all to learning in the contemporary world is the ability to communicate. No matter the topic of inquiry, the problem of the task, communication remains the only way of learning new ideas, reflecting on others’, and working with others to build knowledge .